When it’s time to remodel your kitchen, just knowing where to begin may be your biggest challenge. Using this kitchen remodel checklist to help you plan out your kitchen remodel will help you before, during and after the project. Allow plenty of time for planning. 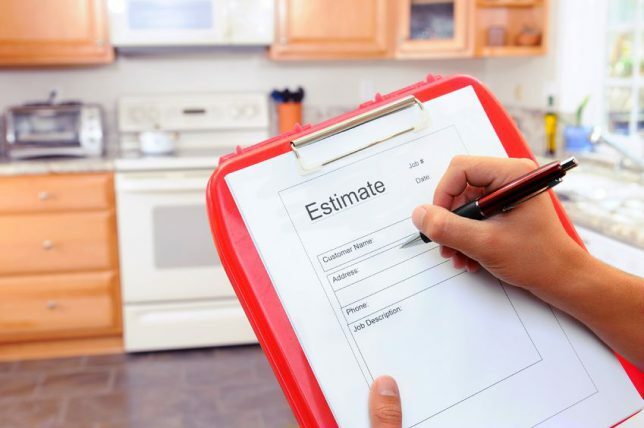 The National Kitchen and Bath Association recommends that you spend at least six months planning your kitchen renovation project, and with good reason — the more time you spend on planning, the more efficient every other phase of your project will be. You’ll be less likely to have cost overruns or expensive changes in design direction. Start with how to use your current kitchen. Is your refrigerator too small for your family or for the way you entertain? What does and doesn’t work about the traffic patterns in your existing kitchen? Taking an objective look at how you really use the kitchen you have is a great way to start prioritizing the features of the kitchen you want. Having a kitchen that’s easier to use and that’s more accessible to everyone is moving higher on the list of desired kitchen features for many people. The good news is that it’s simple to achieve with your cabinet layout and appliance choices. Consider the advantages of a wall oven instead of a range, drawers in base cabinets instead of reach-ins, or even eliminating wall cabinets altogether if space allows. Even if the need for accessibility isn’t there right now, planning for the future is always smart, and usually money-saving. Make decisions on the details early. The sooner you can select all of your fixtures, tile, flooring and countertops, the more information your kitchen remodeling contractor will have to arrive at an accurate estimate. You’ll also avoid the delays that backordered items cause if you can order well before they’re to be installed. Consider retaining the current footprint. You will, of course, see cost savings by keeping electrical and plumbing lines where they are, but you’ll also make planning your new layout easier since you’ll already have the locations of important features set. Another benefit is reducing the costs (and the dust) of demolition. Leave some room in your budget and your schedule for unforeseen events or obstacles. Being prepared to deal with surprises makes them much less likely to have big impacts on your money and time. Make the entire process easier with the help of a pro. Some parts of a kitchen remodeling project are right for experienced do-it-yourself types, but most of the job should be trusted to a professional kitchen renovation contractor. Qualified contractors add value from the earliest stages of planning and can help you keep your planning on the right track. Need a qualified kitchen contractor? Contractor Connection can help. The right contractor for your kitchen remodeling project is just a few clicks away. We’ve vetted our network of expert contractors to ensure that the one we match you with is fully qualified, and has the proper licensing and insurance. With the industry’s only three-year warranty on workmanship, you’ll have the peace of mind that working with a trusted contractor can bring. Just enter your ZIP code at the top of the page to get started.